The LG G6 is a premium metal-and-glass phone with a huge 5.7 inch HDR screen. Dual rear cameras, water resistance, Android 7 and a fingerprint sensor complete the package, but we're not sure why it's quite so expensive. The G5 is LG's flagship handset for 2016. Finished in aluminium, the G5 features a fast Snapdragon 820 processor, a 5.3 inch Quad HD screen, and plenty of memory. It has a modular design, with an optional snap-on camera grip, and a fingerprint sensor on the back. The G5 SE comes with dual 16MP and 8MP cameras. The LG Nexus 5X is a good-value phone premiering the brand-new Android Marshmallow. It's a lightweight and easily managed phone, with a 5.2 inch screen and a convenient fingerprint sensor on the back. The cameras are good, the 6-core processor fast, and it includes the new USB Type-C connector, which enables fast charging of the battery. You might need this, as battery life isn't stellar. The main issue we have with the Nexus 5S is the lack of expandable memory - don't even think about buying the base 16GB version! We're struggling to find anything about the LG K8 that isn't average. Although it has a 5 inch HD screen, a quadcore processor and an 8 megapixel camera, so does every other phone in the ~�150 mid-range - many have better specs than the K8. The phone is let down further by its tacky design, woeful 8GB of memory, and under-sized battery. The LG K4 (also confusingly called the K120E) is a phone that's just going through the motions in a half-hearted way. It's a lightweight smartphone, with a cheap feel, thanks to the plastic silver trim around the screen and the textured back. Inside, you'll find a very slow 1GHz CPU, and just 8GB of memory. You'll find better phones that cost no more - like the Motorola Moto C, for instance. Google Nexus 4 review - The Google Nexus 4 by LG is a simply outstanding phone. With the newest Android 4.2 operating system, an astonishingly high resolution 4.7 inch screen, a mind-blowingly fast quad-core processor and a great camera, perhaps the most surprising thing of all is its low price. It's a must-buy gadget! 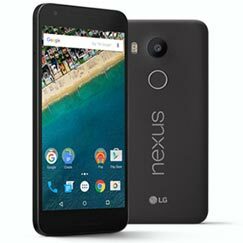 Google Nexus 5 review - The LG Nexus 5 is Google's flagship smartphone for 2013, powered by the new KitKat flavour of Android and offering unbeatable value for money. LG Arena review - The LG Arena is probably the best phone to be released in the first quarter of 2009. It's a compact touchscreen phone with a breathtaking screen, a fantastic new user-friendly interface, quality looks and a massive array of features! LG Chocolate BL40 review - The new LG Chocolate is simply stunning. Looking more than ever like a bar of chocolate, the touchscreen Chocolate BL40 stands out from the iPhone clones with a massive widescreen cinematic display and a uniquely stylish look and feel. It also packs in all the features that you could want, including a 5 megapixel camera, media player, FM radio, GPS and WiFi. Add in 1.1 GB of built-in memory with support for up to 32GB memory cards and the bonus of an FM transmitter, and you appreciate that the phone's beauty is more than just skin deep. LG Chocolate review - The LG Chocolate is a beautiful phone with touch-sensitive keys that definitely scores 10 out of 10 when it comes to looks! LG Cookie Lite review - The Cookie Lite is a tiny touchscreen phone with entry-level features. Undoubtedly cute, it's available in black and pink, and would make a great first phone. LG Cookie review - The LG KP500 is a touchscreen phone for those on a budget. It's a compact device with a touchscreen display that's easy and fun to use. It's not always the most reliable phone however. LG Crystal GD900 review - The Crystal continues LG's tradition of innovative design, with the world's first transparent keypad! The slide-down keypad is touch-sensitive and completely transparent, and the main display is touch-sensitive too. LG G Flex 2 review - The LG G Flex 2 is something different - a smartphone with a curved screen and body. It's certainly designed to attract attention, but is a practical option too, with careful thought going into its unique design. It's also a high-spec smartphone with an 8-core processor and an excellent camera. LG G Flex review - The future's bright, the future's curved, or so the Koreans would have us believe. LG is giving us a taste of flexible OLED screens with the G Flex smartphone. It's interesting for sure, but just serves to demonstrate some of the teething problems of this new technology. 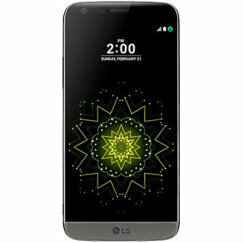 LG G2 review - The LG G2 is a supercharged superphone, but the limited onboard memory and lack of a memory card slot could be a deal-breaker. LG G3 S review - The G3 S is a "mini" version of LG's flagship G3 smartphone, although it's still quite large, with a big 5 inch screen. The G3 S costs half as much as the G3, and the spec has been cut to match, but it still manages to outperform all rival phones at this price point. LG G3 review - Take a cutting-edge design, skin it in a choice of metallic finishes, give it the highest definition screen on any smartphone, a superfast processor and the latest version of Android and you have a recipe for an amazing phone. Anything missing? Add laser autofocus to the camera and we're done! In short, the LG G3 rocks! LG G4 review - The LG G4 is even better than the G3, with a unique leather finish giving it a distinctive premium look & feel. It's a large phone with a huge 5.5 inch screen, yet it doesn't feel too big, thanks to its light weight and tapered edge design. The screen is a super-bright Quad HD display and is one of the best available. Add in a superb camera, hexa-core processor and a large battery, and you have a superb all-round smartphone. LG G4c review - The LG G4c is a cheaper, more compact version of LG's outstandingly good flagship G4 smartphone. Whilst it shares the stylish looks of the G4, the G4c misses out on many of its best features. However, for a phone costing around �200, it's still excellent value, and is a good mid-range choice. LG GT500 review - We don't have an expert review for this handset, but read the user reviews below to find out what handset owners think. LG GT505 review - We don't plan to review this handset. Please see the user reviews below for more information. LG GW520 review - The GW520 is a touchscreen phone with a slide out QWERTY keyboard. LG KC550 Orsay review - The LG Orsay is the first mid-range phone to feature a 5 megapixel camera. In addition to outstanding photo and video capabilities, it also has a music player, FM radio, Wii-style games and Bluetooth. However, some may find it too large and heavy, and its internal memory is small, although it does support memory cards up to 4 GB. Becuause of poor reliability, we'd advise you to pick another phone instead. LG KC780 review - The LG KC780 is a slim mid-range phone with an amazing 8 megapixel camera. LG KC910 Renoir review - The LG Renoir is the first 8 megapixel touchscreen phone. Added benefits include 3G video calling, a high quality video camera with slow motion effects, an MP3 player, an FM radio, Dolby Mobile, HSDPA 7.2 Mbps for broadband internet speeds, Assisted-GPS and an 8GB memory card. This is one of the most powerful multimedia devices ever created. LG KF510 review - The KF510 is a gorgeous, ultraslim fashion phone. LG KF700 review - The KF700 offers the best of both worlds: a large touchscreen and a slide-out conventional keypad. LG KG225 review - The LG KG225 is a featherweight entry-level clamshell phone. LG KS360 review - The key feature of the LG KS360 is its slide-out keypad, which makes it a perfect phone for keen texters or emailers. LG Optimus 2X review - The LG Optimus 2X is the world's first smartphone with a dual-core processor. LG Optimus 3D review - The LG Optimus 3D is the world's first 3D phone with a glasses-free 3D display. LG Optimus Black review - The LG Optimus Black is a higher-end Android phone featuring a NOVA display for improved readability in bright sunlight. LG Optimus L3 II review - The LG Optimus L3 II is a tiny Android smartphone with stylish looks, but too low in specs to be a contender. 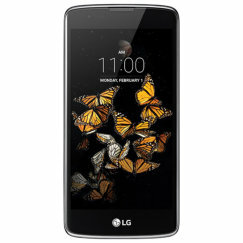 LG Optimus L3 review - The LG Optimus L3 is an entry-level Android smartphone with a smart, compact design. Battery life is good, but there are many compromises here. LG Optimus L5 II review - The LG Optimus L5 II updates the Optimus L5 with a better screen and slightly faster processor, but for the money it's an underwhelming Android phone that doesn't match up to the competition. LG Optimus L5 review - The LG Optimus L5 is a good value mid-range Android phone with a large screen and excellent battery life. The sluggish processor and low resolution display are the only downsides. LG Optimus L7 II review - The LG Optimus L7 II is a mid-range Android phone with smart looks, good performance and strong battery life. The small built-in memory is its only weak point. LG Optimus L7 review - The LG Optimus L7 is a high-spec smartphone at a mid-range price! With a superslim design, a 4.3 inch screen, the Android operating system, plenty of memory and exceptional battery life, you'll struggle to find a mid-priced phone that matches it. LG Optimus Me review - The LG Optimus Me P350 is a budget Android phone. But there are too many compromises, especially the small screen, underpowered processor and limited memory. 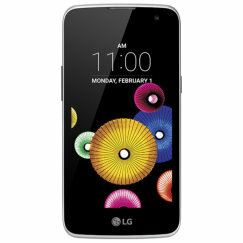 LG Optimus One review - The LG Optimus One is a budget smartphone running Android 2.2 (Froyo). LG Optimus White review - The LG Optimus White is a higher-end Android phone featuring a NOVA display for improved readability in bright sunlight. LG Pop review - The LG Pop GD510 is a super-compact budget touchscreen phone. LG Prada 2 review - The LG KF900 (aka Prada II) retains the minimalist chic of the original Prada phone, but adds a slide-out keyboard. LG Prada review - A stunning Prada-branded phone with a touchscreen display. LG Secret review - The LG Secret KF750 is a stunningly beautiful superslim phone, with carbon fibre and tempered glass giving it an aura of quality, and the touchscreen controls and "Neon Touch" visuals making it cool to use. LG Shine KE970 review - Following on from the success of the Chocolate phone, LG's next release in its "Black Label" series is the Shine. LG U300 review - The LG U300 is a 3G clamshell phone that's one of the lightest 3G phones available. LG U400 Neo review - The LG U400, nicknamed the Neo, is a 3G music phone available exclusively on the 3 network. LG U8110 review - The LG U8110 is a clamshell style 3G phone available on the 3 network. LG U8120 review - The LG U8120 is a clamshell style 3G phone available on the 3 network. LG U8130 review - The LG U8130 is a minor update to LG's popular 3G clamshell, the U8120. LG U8138 review - The LG U8138 is an enhanced version of the LG U8130 3G clamshell. LG U8150 review - The LG U8150 is a 3G phone exclusive to the Orange network. LG U8330 review - The LG U8330 is a 3G clamshell phone with a very similar design and specification to earlier LG models such as the U8130 and U8150. LG U8360 review - The LG U8360 is a 3G clamshell phone that is available on the 3 network. 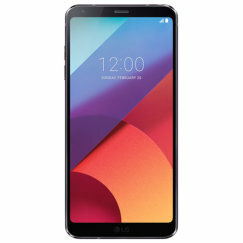 It's the first phone from LG with Bluetooth wireless connectivity. LG U8380 review - The LG U8380 is a 3G clamshell phone that is available on the 3 network. It has two fixed cameras instead of the single rotating camera found on previous LG models. LG U880 review - The LG U880 is LG's thinnest, lightest 3G mobile to date. In fact it's a lot thinner and lighter than many 2G phones! LG U890 review - 3G slimline clamshell phone with 1.3 megapixel camera, video calling, music player, memory card & Bluetooth�. LG Venus review - A dual-screen touch-sensitive user interface combined with a full numeric keypad makes the LG Venus cool but practical too. LG Viewty Smart review - The LG Viewty Smart is a massively upgraded version of the original Viewty. LG Viewty Snap review - The LG Viewty Snap (or GM360) is an entry-level touchscreen phone with a great camera and a good-sized screen. LG Viewty review - Combining a touchscreen user interface with plenty of technology, the Viewty ticks nearly all the boxes.